Historically, a robust housing industry has been a bellwether of a booming economy. At present, however, the economy is at its strongest point in 10 years, but the housing industry is limping along. Recent projections indicate annual home sales will fall below those of last year. A number of factors are contributing to this situation, but the major one is affordability. For many Americans who want to buy a home, the cost is just too high. "Affordability remains a huge concern," says Inna Khidekel, managing director of capital markets for Bridge Investment Group, which leads a Workforce and Affordable Housing Initiative as part of its multifamily fund management program. 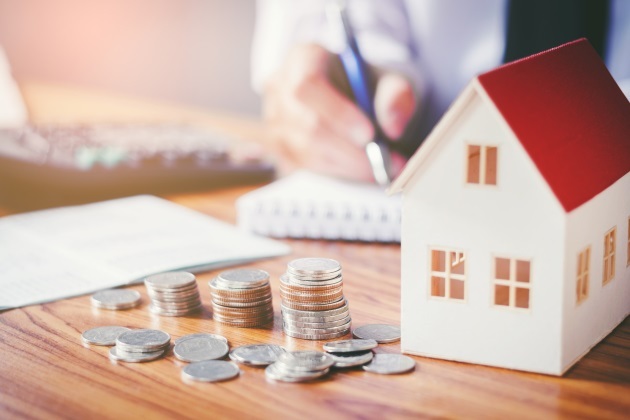 The firm’s research finds nearly two-thirds (62 percent) of renter households earn below 80 percent of their area’s median income (i.e., $45,000 a year or less). Only 41 percent of households can afford the median list price of a home in their area. In addition, individual household factors such as family size and health status can affect how much in housing expenses is manageable. Rising home prices are placing a home purchase even further out of reach. In the third quarter of this year, home prices reached their least affordable level since the same period in 2008 — a 10-year low, according to ATTOM Data Solutions. The cost of home ownership is also increasing as prices and mortgage rates rise. A study by the Urban Institute found that as of July 2017, the share of median income needed for the monthly payment with a 20-percent-down mortgage on a median-priced home stood at 22 percent, up from 18 percent five years ago. The study also forecast that if rates rose to 4.75 percent (they have been hovering between 4.71 and 4.79 in the past few weeks), the share of income would increase to an average of 24 percent. The problem has been growing for some time, as builders, pressed by increased construction costs and regulation, have opted to build more large homes and luxury homes that command higher prices. In its 2018 State of the Nation’s Housing report, the Joint Center for Housing Studies at Harvard University (JCHS) states, "the share of smaller homes (under 1,800 square feet) built each year fell from 50 percent in 1988 to 36 percent in 2000 to 22 percent in 2017. Of this latest drop, 9 percentage points occurred in 2010-2013 alone." Between 1999 and 2015, in contrast, the share of large homes nearly doubled, from 17 percent to 31 percent. During this period, most multifamily construction has been focused on rental properties, not on condos or townhouses — popular starter-home options — whose construction has fallen by half. Analyzing data from this year’s third quarter, Trulia relates that although housing inventories improved somewhat, starter homes are the hardest to find, comprising only one-fifth (20.9 percent) of the total market. MetroStudy chief economist Mark Boud, in his Q3 housing forecast, noted that homes for sale below $200,000 were scarce, while inventory at $400,000 and above was increasing. The shortage of affordable homes to buy has heightened the demand for rental properties, driving up rents. CNBC reports rents in the third quarter of this year rose 2.9 percent compared to a year ago, up from 2.5 percent in the second quarter. JCHS found one-third of households in 2016 paid more than the 30-percent-of-income recommended industry standard for housing. Moreover, adds Khidekel, some 12 million households spend more than 50 percent of their annual income on housing. They are among those experiencing what JCHS terms "shelter poverty," that is, not having enough to cover basic necessities after paying for housing. Under such constraints, setting aside funds toward the purchase of a home is nearly impossible. Most industry analysts agree the present situation is not sustainable, but at present it is difficult to see a way forward. Some point to low unemployment and a strong economy as a hopeful sign. However, rents, home prices and mortgage rates are increasing at a much faster rate than wage growth. Others point to the millennials reaching household formation milestones. Yet, data from Freddie Mac estimates that 700,000 young adults refrained from buying a home between 2000 and 2016 because costs outpaced income growth. The latest ValueInsured quarterly Modern Homebuyer Survey shows less than half (48 percent) of millennials believe buying a home is a good investment — a record low — compared to more than three-quarters (77 percent) a year ago. More and more affordable inventory is needed, of both new and existing homes, and soon. In an article for Forbes magazine, John McManus, a content director with Hanley Wood’s Residential Group, calls for an "all-out blitz of lower-priced, entry-level homes." He and a number of other experts suggest that wider use of new technologies and modular construction techniques, as well as changes in business practices, could help lower the cost of building a home. Trade and professional organizations have called for less regulation, which adds costs and delays to projects. Some builders have begun to introduce models with smaller footprints and fewer frills to appeal to more economy-minded millennials. Others, like Bridge Investment Group, are investing in preserving,restoring and rehabilitating already existing buildings, thus holding down construction costs, especially in lower-income areas. This is not just a housing industry issue. In a number of metropolitan and suburban areas around the country, providers of basic and valuable services, such as police, fire and emergency personnel, teachers, and healthcare professionals and paraprofessionals, cannot afford to live where they are needed. For the sake of our communities and society’s stability as a whole, the cost of housing needs to scale back to a level that most, not just some, Americans can afford.